Home > News > Thank You for Fireproofing a Life! Thank You for Fireproofing a Life! This article first appeared in the October 2018 edition of Bethesda’s “New Life” Newsletter. 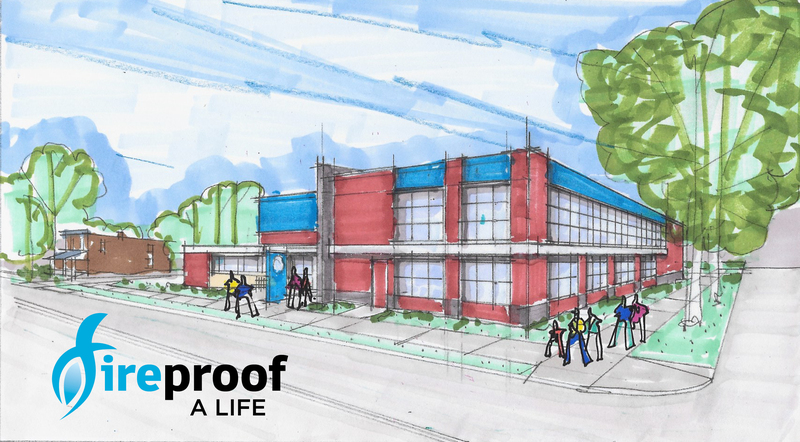 In mid-August, Bethesda Mission launched a capital campaign – “Fireproof A Life” – to raise $800,000 by the end of 2018 in order to fund Phase II of the Community Center expansion project. Donations from individuals, churches, and businesses continue to come in at varying levels, getting us closer and closer to completing the Community Center expansion project — thank you to everyone who has donated so far! 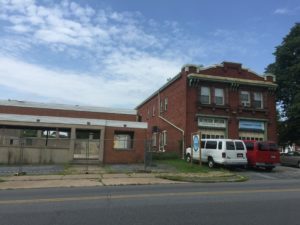 The original plans for this phase of the project were to preserve the current youth center building, housed in a 110-year-old former fire station, however it has been determined that this is not economically feasible. 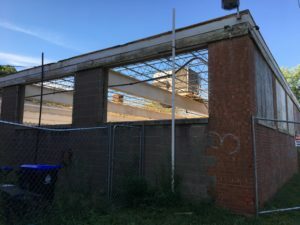 The old structure needs to be demolished and a new one-story structure (5,200 sf) will be built, with the hope of adding a second story at some point in the future. This additional space is necessary to handle the increasing number of children and teens that we predict will be coming to the Community Center. Check out how close we are to reaching the $800,000 goal and learn all of the details surrounding this important campaign on our website: BethesdaMission.org/Fireproof. There’s still time for you to fireproof a life! Will you be one of the 2,000 people who are needed to step up and donate $80 toward this cause? Will your church or business contribute $800 to be one of the 160 donors needed at this level? Are you in a position to generously give $8,000 to be one of the 80 individuals/churches/businesses at the major giving level? Any amount will make a lasting impact in the lives of children, teens, and families in the Herr Street community. Please help by spreading the word about this exciting project. If you would like a representative from the Mission to come speak with your church, business, or group, please contact 717-257-4442 or info@bethesdamission.org. The former K-press building has been gutted and the roof removed to make way for a full-sized gymnasium. 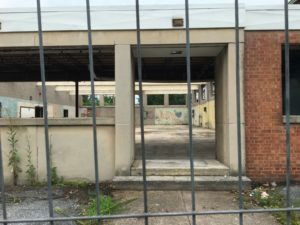 Additional classroom space, reception area, and offices will be along the front of the building, and a playground added outside. The project is being overseen by Pyramid Construction and Phase I is expected to be completed in December 2018.